Dickens wrote serials. So did Hemingway. Much of television is based on the serial format. The formula for reader satisfaction is pretty straightforward: hook ’em and give them some play but keep them on the line. Give readers rising tension and cliffhangers and you have a story that keeps them coming back week to week. One launch date; blitz all media all at once; concentrate the push within the first couple of weeks of launch; watch all efforts either win or peter out as bookstores sent back their inventory returns a few weeks later. It has six launch dates; five episodes per season sold at 99 cents each; or get the whole book immediately at a discount (just $3.99) and find out what happens to my autistic boy and my uber-villain. Amazon used to work something like old world publishing in that you could marshal your forces and do a book bomb. A book bomb is where you get everyone you know to buy your book on Amazon at 2 pm on a Tuesday. The way it used to work, the algorithms would boost your book up the charts. Once the Mighty Zon recognized that was what some people were doing, they changed the algorithm to push those books down as fast as they rose. Now I know drip marketing is the best way to go (as I learned from David Gaughran, author of Let’s Get Digital and Let’s Get Visible). Amazon algorithms favor book sales over time. It’s still great to get a big X of sales over a short Y amount of time, but Amazon likes sales consistency, not stabs in the dark that can’t be sustained. Serialization allows me to keep talking unselfconsciously. I have new launch dates, new material, and new information. I give readers a lot to look forward to. I didn’t skimp on the episodes. Many serials give 10,000 words per episode. My episodes run 20-25,000 words. I wanted to be generous and give them lots of action. Also? 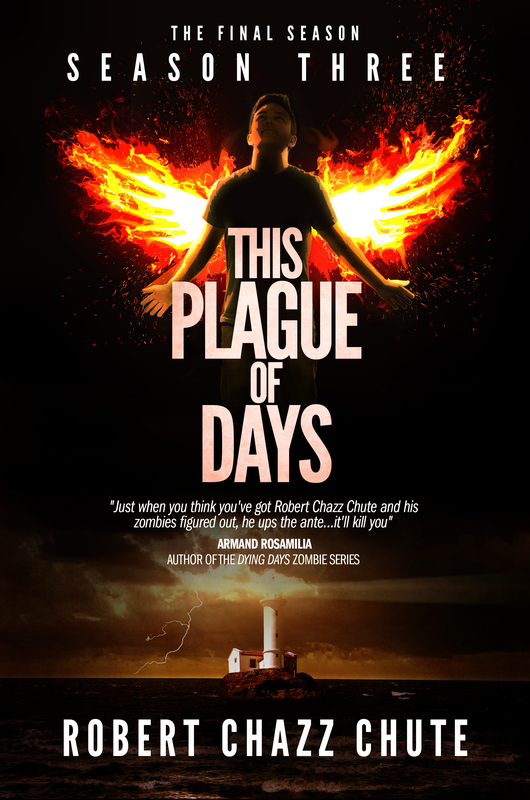 This Plague of Days is like two books in one! This is a zombie apocalypse with a contemplative side. At its heart is a boy with autism who sees the world very differently. So yes, there’s tension and creepiness and fast zombie action and an international thriller. There’s also a family dealing with a plague from the cold comfort of their living room in a world suddenly dystopian and unfamiliar. Not all mysteries will be solved in Season One. A very important story arc in This Plague of Days is fooling readers right now! Many authors experimented with serialization. It didn’t work well for them. Perhaps they were ahead of their time. Perhaps there were other variables that didn’t fall into place. I modelled what successful authors were doing and added length to the episodes to give bang for the buck. Then Amazon came out with its serials program and I felt like the biggest brains in publishing blessed the model I adopted. If you haven’t bought Season One yet, there’s a secret I’m prepared to reveal now. Not only did I serialize This Plague of Days, I did something no traditional publisher would have allowed. If you want to know that secret (and see the new video)…if you are One of The Blessed Curious, click here. 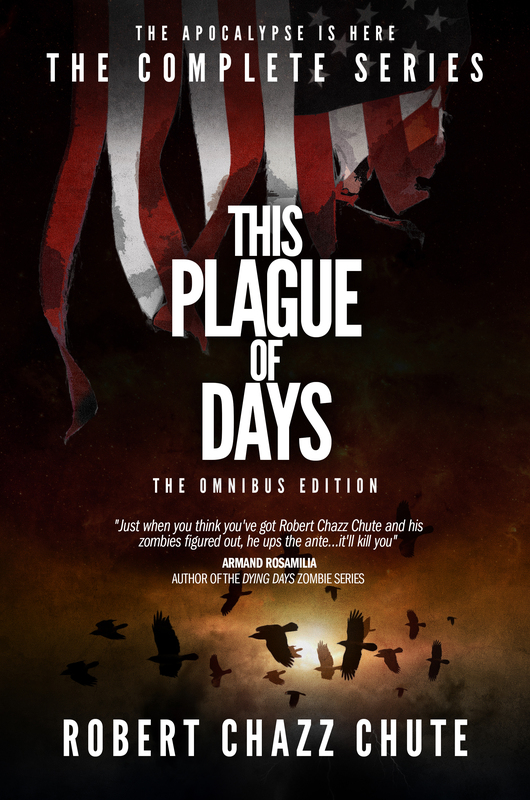 This entry was posted on Monday, July 8th, 2013 at 11:05 am	and tagged with amazon, Amazon Kindle, apocalypse, author, autism, book, books, Bookselling, fiction, horror, post-apocalyptic, publishing, robert chazz chute, This Plague of Days, writer, writing, zombie, zombies and posted in apocalyptic fiction. You can follow any responses to this entry through the RSS 2.0 feed. « This Plague of Days: The action rises. London falls.